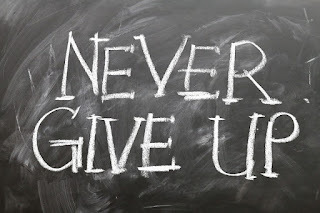 We have a history of challenging life circumstances, hardships, and struggle. But amidst that hardscrabble life, we learn important lessons. We learn to cope, to overcome, to look at the bright side. We learn not to merely survive but to thrive. Some survive through endless hard work. Elbow grease, my dad called it. Some survive through artistic expression. I remember the days of watching men gather at the Courthouse in Harlan and sit on the stone wall whittling with their Case pocketknives. Many gathered to play their Appalachian musical instruments and sing. Others painted pictures of God's beauty of the mountains or of their dreams about where they'd like to be someday. Mountain folks are definitely a creative bunch. And then there are those who shared their gift of words -- either in storytelling or writing them down for others to read. I remember reading the words and songs of John Jacob Niles, who visited our school when I was in fourth grade. What an inspiration to me. From the time I could read, I knew I was meant to write. I spent many a day swinging in the old front porch swing with my Mountain Feist dog, writing. 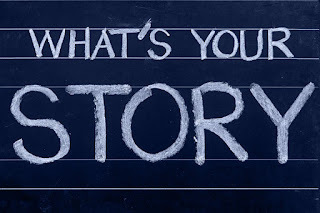 Those stories allowed me to verbalize what I didn't dare say aloud. My poems praised God, the creator of those beautiful mountains. My dreams of what I hoped and dreamed about for my future were given flight right in that swing. I imagined a world completely different from my own -- a world where my place in it mattered. One of my dreams was that someday I would do my mountain family and friends proud by becoming a published author. I wanted to share the blessings of growing up in the mountains. The hard stuff and the joys. The tough, determined people who overcame the painful things in life. The love and support offered freely by neighbors who were barely hanging on at times, too. A people who clung to their faith, unashamed of their calloused knees. Years of excuses, a lot of years, passed before I decided I'd better get busy if I planned to live my dream before my passing. 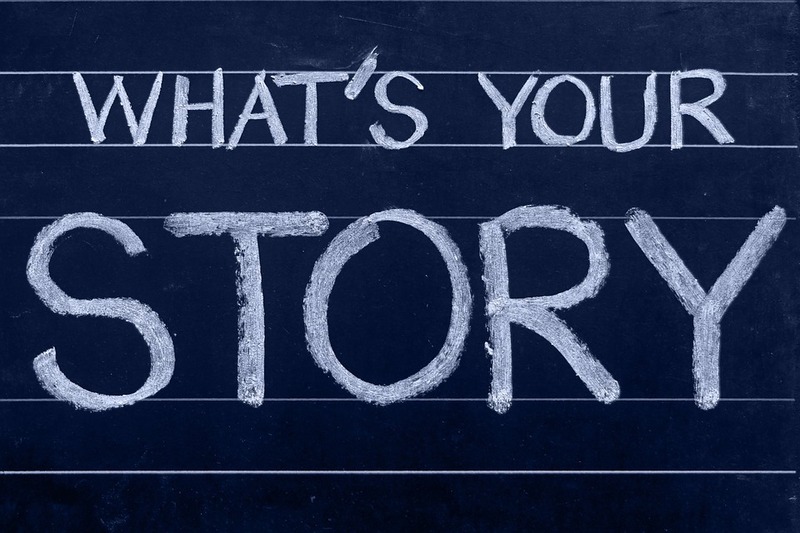 One day, a germ of an idea made it's way to the page and Coreen and Sarah's story bloomed. On Friday, November 30, 2018, my first novel, set in the coalfields of eastern Kentucky, releases. Today, I'm taking a departure from my regular blog posts to tell you a bit about Above the Fog. Several of my friends and family have their names as characters. That doesn't mean they are anything like the character the name was given to. 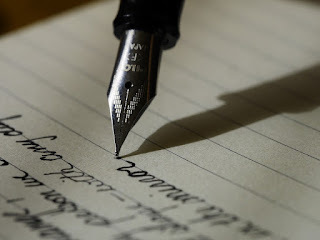 So, if your name appears, I'm not writing about you, I'm writing in honor of our friendship and special relationship. You may also recognize a few landmarks -- like Moo Cow Curve and a treck up Laden Trail on Pine Mountain. I also included Mrs. Boggs, the school nurse who gave us shots, the yeast rolls that tantalized me every morning at Loyall School, and Jack's Drive-In's doolies. Also, I had to include the monster flood of 1977 as a character. Even the destruction plays a role in Coreen and Sarah's journey. The story is purely fictional, though, with a few truths sprinkled among the fiction. I never actually experienced the type of life my friends did in this story. Growing up in a coal mining camp is difficult enough. But, when Coreen Shell’s abusive father makes a promise for her thirteenth birthday that could destroy what’s left of her life, she resorts a desperate prayer to a God she’s not sure exists. The next day, a flood washes through the coal camp, like a backhanded answer to her prayer. Coreen, her mother, and her crippled grandmother next door must climb the mountain to find refuge in a nearby church. Then, news of a murder changes everything, in a way Coreen never imagined. Now the real question is: Will Coreen and her damaged, dysfunctional family conquer all the lies, secrets, hardship, and hatred … or be destroyed by them? In case you would like to know more about me, I included a photo of me and my bio. In case you ever wondered why I started this blog -- it's because my non-Appalachian friends didn't understand our dialect and way of life. 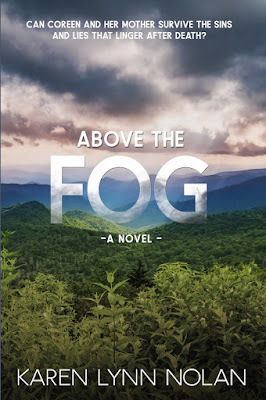 Through Diamonds in My Coal Bucket, non-Appalachians can be ready for Above the Fog. And we mountain people can look back and remember the good days. If you decide you would like to read my book, there's a link to it in the right column, at the very top. Just click on the photo of Above the Fog. If you do decide to read it, I would appreciate a review on Amazon and/or Goodreads. Word of mouth is a fabulous way to share the news, so sharing this post would also be appreciated. Do you have a book, a song, or another artistic idea inside you that yearns to take flight? Don't give up on your dreams. I waited a lot of years to fulfill my dream. It's never too late. We had very little in the way of spices in our mountain home. Salt and pepper comprised the entire list for daily additives for our food. In an effort to add a bit of pizzazz to the flavor of foods, we sometimes added onion or butter. However, to make food more than merely palatable, we added a secret ingredient that I doubt even Colonel Sanders added to his secret recipe -- BACON GREASE. Pigs were common in the mountains. They took up less space than cattle and didn't have to forage for food. I remember several pig farmers visiting the school cafeteria after lunch to get all the food dumped into the trash cans. Slop. At least some creature on earth wanted to eat it. I rarely ate the lunches at school. Saying I was a picky eater is an understatement. Thankfully, the pig farmers fed all the slop to the pigs, who grew up to become my favorite food -- BACON. And the bacon added its glorious seasoning to some less-than-favorite foods to make them tolerable. Almost every mother used BACON GREASE. We didn't have to cook bacon for each meal. Instead, the BACON GREASE from breakfast -- or whenever -- was poured into a container for use later. Some families had enough money to purchase a fancy BACON GREASE container. Yes, there is such a thing even today. 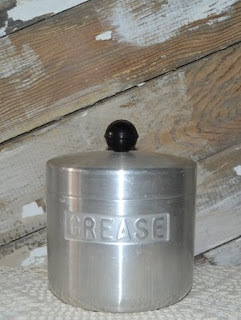 In my house, we used an old discarded coffee can to hold the BACON GREASE. It sat on the stove always, easily available for the next meal. As Mom cooked her potatoes or green beans, she'd dip into the coffee can of BACON GREASE and add some to the food. If you've never tried it, you don't know what you're missing. Of course, some foods don't lend themselves to BACON GREASE. I know, a shock. Sweets and bread required lard, Crisco, or butter instead. Today's BACON GREASE containers include a strainer to remove any crumbles and bits of meat. Did your Mom and Grandma use BACON GREASE in their cooking? Do you use it in your cooking still today? 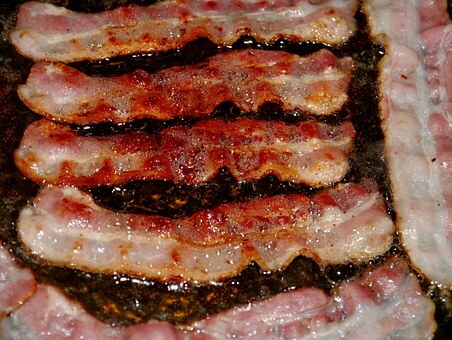 What's the best thing you've eaten with BACON GREASE as the seasoning?